The GLS name was first attached to what used to just be called the GL-Class back in 2016. This is the first all-new car to bear that name. As these things go, it’s longer and wider than the car it replaces, and is currently the largest SUV Mercedes makes. It’s built right here in America, too, in Alabama. 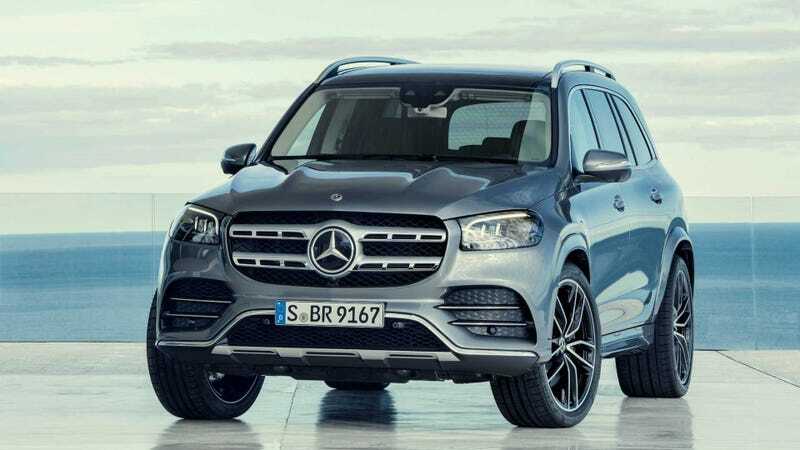 Two models will launch in the U.S.: the GLS 450 4MATIC with a 3.0-liter turbo inline-six (remember, Benz is back to doing those) and the GLS 580 4MATIC, with a twin-turbo V8. The six is rated at 362 horsepower and 369 lb-ft of torque, and the V8 is rated at 483 HP and 516 lb-ft of torque. All GLS models get a nine-speed automatic transmission.